It’s time for the largest beer celebration in Western Canada. Vancouver Craft Beer Week kicks off Friday May 25th with a special event to launch its official theme beer, at a party unlike any they’ve organized before. What’s Brewing caught up with VCBW Festival Director Leah Heneghan to find out what’s happening behind the scenes this year. What’s Brewing: Vancouver Craft Beer Week is now in its ninth year. How is the team feeling about how the Week is shaping up this year? Leah Heneghan: Ninth year—how crazy is that! 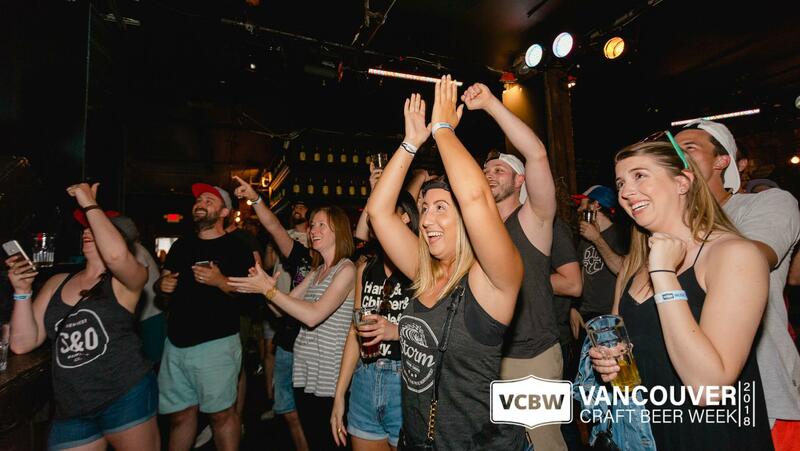 We’re really excited for this year as we’ve made some great changes to VCBW that are more inclusive and allow for a celebration the whole city can get involved in. We’re encouraging the breweries to have events at their tasting rooms and have invited craft-beer-forward restaurants and bars in the city to celebrate with us as well. WB: The Week’s kickoff event is the East Van Crusher at the Maritime Labour Centre. Tell us a little about the East Side roots that VCBW is paying tribute to with this relocation. LH: Half of VCBW’s founders (including myself) grew up on the mean streets of East Van – that part of the city is very close to our hearts. Some of the first VCBW events were held along Main Street back in 2010, and we’re paying homage to one of the first and fastest growing brewery districts in the city by kicking off our celebrations there. VCBW’s Festival is also in East Van, for the 4th year in a row at the PNE Fairgrounds. 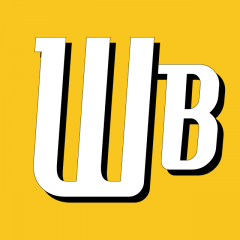 WB: VCBW has a history of sporting a theme each year. Based on the wording we’ve seen in some materials, we’re guessing the theme this year is “crushing”, a word that has multiple meanings at a beer event. Is there a story behind this year’s catchword? LH: We don’t have an official theme this year, but the word “crush” has worked its way into our vernacular almost without us noticing. It started with us talking about how we wanted to have a crushable collaboration beer this year, thinking about the summer sunshine and how fantastic it is to sip on a delicious beer while basking in the beauty of our city in the summer. It carried on with us thinking about what other beers we were really enjoying at the moment, which led to changing up our opening night format to celebrate our beer crushes. WB: Cans, especially the tallboy format, seem to be a hot trend in BC beer packaging. Is the East Van Crusher a kind of showcase of canned beer? LH: Totally is! Our opening night has had the same format since we started out, and we thought it a good time to change things up a bit. We’ve been advocates of canned beer for ages and are loving how popular cans are these days, so why not celebrate the fantastic cans we have here in BC and make a party out of it. We loved having our collab beer in cans last year, and are looking forward to cans again this year. WB: Will reps from many of the breweries be on hand as usual to pour, and talk about their beer? LH: We thought we’d give the breweries a chance to attend VCBW’s Kickoff this time around, and are encouraging brewery folks to come to the party and enjoy themselves alongside the attendees—not a thing they get to do very often these days, what with so many beer events going on. LH: Grant Lawrence will certainly crack the first can of our collaboration beer at the East Van Crusher, and then will sip it slowly, enjoying the delicious beverage inside responsibly, as we all should. We still hope Mr. Lawrence shotguns that can. Either way, we’ll be there at the kickoff party to witness another year of West Coast beer history. $24.95 includes entry and 2 cans of beer. Vancouver Craft Beer Week started in 2010 at a small venue in Vancouver hosting about 100 Vancouver beer aficionados and 15 British Columbia and Vancouver breweries. Over the past 9 years, this modest Vancouver craft beer festival has evolved from Canada’s first-ever craft beer week into a cultural engine that showcases music, food, art, and beer at events across the city, from the last weekend of May to the first weekend of June every year. 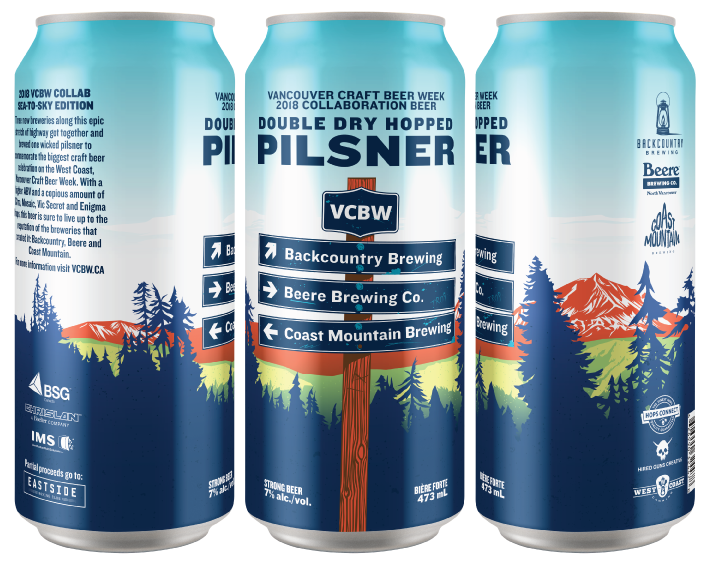 VCBW 2018 kicks off on May 25, continuing throughout the week and culminating at the historic PNE fairgrounds on June 2 and 3 for Vancouver Craft Beer Week Festival 2018 where over 100 craft breweries and cideries will be pouring more than 300 beers and ciders. At the PNE, beer, both imported and BC craft, will be presented by North American breweries and (often) poured by the brewers themselves.